The holidays are a wonderful time to get together with family and friends, but it is also a time of chaos. Imagine what would happen if during all of the holiday’s sales a zombie apocalypse occurred? That would be a very Black Friday, indeed. Surviving the Zpoc would be a whole new level of Holidaze. The thought of Pumpkin Spice Zombies frightens me more than anything. When dealing with zombies and other apocalypses, one thing that I find is often missing is a discussion of keeping yourself fed. Sure, weapons and shelter are important. 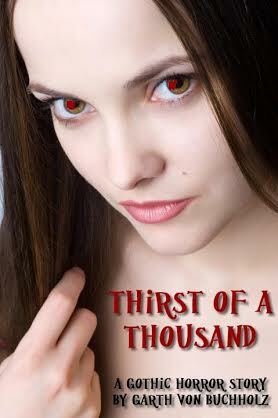 Fighting off hunger and thirst is crucial however to keep fighting off the undead hordes. Thankfully, at this wonderful time of the year, we now have two excellent cookbooks and survival guides catering to the zombie apocalypse. It might come as a surprise that they were both written by the same author. The Walking Dead: The Official Cookbook and Survival Guide just came out this October. The same author, Lauren Wilson, also wrote The Art of Eating Through the Zombie Apocalypse: A Cookbook and Culinary Survival Guide in 2014, which I lovingly call the Zpoc Cookbook. Both are reliable resources that read like experienced prepper’s guides. Both have thorough chapters on improving our survival skills. They aren’t gimmicks, either. I think even the Boys and Girls Scouts would learn a thing or two. Les Stroud would be proud. In many ways, the TWD Cookbook is an updated version of the Zpoc Cookbook. The chapter structure is a bit more organized and it simplifies a few concepts. It is also, of course, packed full of references to the characters of the TV show. One thing that the TWD cookbook has that the other lacks is a whole chapter on alcoholic beverages. The Zpoc Cookbook does have a recipe for a mead, which would be excellent for barter, but that’s it. Conspicuously absent from both is a classic Zombie recipe, though TWD has a killer drink called The Walker which looks tasty. TWD also describes how to make mead. I think they both missed the opportunity for more instructions on how to make other boozes. For example, I was at first excited to see the recipe for Cherry Moonshine in the TWD, but this is actually just how to take Everclear and fortify it with cherry syrup. Tasty for other cocktails, true, but learning basic distillation, like say to make applejack, would be a useful skill. (Yes, distillation is still illegal in most places, but during the apocalypse, I think prohibition is going to be the least of anyone’s worries.) Distilling alcohol can be useful as a way to make fuel as well, which will be handy in a post-apocalyptic gas shortage. For that matter, distilling water would be a vital skill, but while the Zpoc briefly mentions a solar still, the TWD only discussed boiling and filtration. While both books do cover fishing and hunting and recipes for such wild game that you might catch (each has a squirrel recipe, for example), neither cookbook heavily features recipes using the food you have foraged, grown, or preserved yourself. There was one recipe in TWD Cookbook for chocolate chunk cookies that does make use of applesauce, and later provides a recipe for making and preserving your own applesauce for stocking up during harvest season. However, the majority of the recipes assume you have a decently stocked pantry and icebox and that you are willing to use your rations. For example, I think you’d be hard-pressed to sacrifice eggs and milk to make a homemade batch of chocolate pudding rather than stock up on canned chocolate pudding. I’m sure Carl would understand. I was pleasantly surprised that neither cookbook resorts to parody recipes or kitschy Halloween gimmicks, and thank goodness for no recipes featuring brains or “long pig”. If you would like that kind of thing, you can find my take on The Walking Dead Terminus Tavern “Human Burger” recipe here on Horror Addicts to try. But I digress. The Walking Dead Cookbook is an excellent coffee table cookbook. The Art of Eating Through the Zombie Apocalypse is a standard paperback size which would be more practical in a Bug-Out-Bag. They would both be fun gifts this holiday season. Really the question is are you a fan of The Walking Dead or a zombie fan in general? I think The Art of Eating Through the Zombie Apocalypse may be the better resource, and it is less expensive if that matters. Both books have Kindle versions available. If you can’t decide, you can always buy both, like I did. As Lauren says in The Walking Dead Cookbook, “Living or dead, there’s one thing that unites us all—hunger.” During the zombie apocalypse, holiday gatherings with your family, friends, and fellow survivors will mean more than ever. Bad Lip Reading…have you seen these? I was shocked recently when I was at a table of horror addicts and found out none of them had heard of these hilarious videos. We, of course, pulled out the phone and watched them immediately. I am especially fond of the “Carl Poppa” bit in this first Walking Dead one. Although, the dolphin part is pretty funny too. If you haven’t got enough of Carl Poppa, the whole video can be seen in this next one. If you’re more into Twilight (or making fun of it) there are several to watch. My favorite is this one, which spoofs Eclipse. You can watch several other Walking Dead and Twilight vids at the Bad Lip Reading YouTube page. I like how the core of the horror genre is metaphysical. Horror stories or films are modern myths about something that terrifies your very soul, and they may or may not involve actual violence and death. For example, to a person who is claustrophobic, being locked into a confined space is horrifying, even though that scenario may not end in their death. And there’s a difference between horror stories and real life horror. The tortures, rapes and beheadings in the Middle East right now are just horrible — brutal, tragic and inhuman — but they are not “horror stories” until they are mythologized, e.g. as a tale about how a spirit of evil is at work in our world. Everything by Poe. He’s the master. And I’m a fan of William Peter Blatty (Bill, why haven’t you responded to my fan letter?). I love The Exorcist and Legion, the novel that the Exorcist III film was based on. You know, I met Linda Blair in person at a film festival and she looked great and was really cool. Also, I have mad love for another lesser known William Peter Blatty novel and film: The Ninth Configuration. Although I’ve read many Stephen King novels, I’m a huge fan of The Stand, so I’m excited about the upcoming movie trilogy. As for TV, I’m not into zombies and The Walking Dead, but I’ve read and watched The Game of Thrones series, which has some chilling horror elements…dragons, torture chambers, whitewalkers. Okay, I guess the whitewalkers are zombies. On my Twitter it says I’m “goth by birth” because of my German name and background. But in addition to my outwardly gothic clothing and tattoos, I meditate on the Latin words “Memento mori” (“Remember death”). Even on the sunniest of sunny days when the birds are singing arias, I am constantly aware of the horrors unfolding elsewhere in this world. With that, I keep things in perspective. Another thing to mention — Edgar Allan Poe is an important influence in my horror lifestyle. 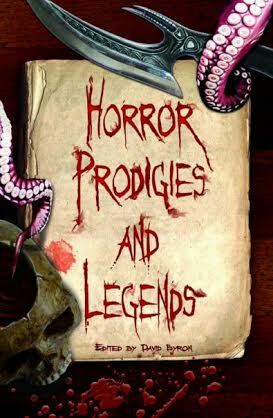 I’ve been closely associated with the late Mr. Poe, partly because of my work on the Edgar Allan Poe 200 Project in 2009 and partly for my social media content on Facebook (https://www.facebook.com/ieaps) and Twitter (http://twitter.com/EdgarAllanPoe). In 2012, I was interviewed about Poe by the Washington Post (http://www.washingtonpost.com/entertainment/raven-cusack-try-to-capture-edgar-allen-poe-in-way-other-films-failed-to-do/2012/04/25/gIQAyLUNjT_story.html) and I continue to network with the Raven’s followers worldwide. In some ways I would like to be that person who writes inspiring poetry that gets repinned all over Pinterest, but my verse tends to be quite dark. This year, I’m writing more poetry because I want to publish a collection of new verse. And I’ve never written a novel before, but I started working on a strange novella called Overture that incorporates some very personal memories and even alludes to other stories or poems I have written. Then there’s my Poe-related performance art project. I’m going to be recording and publishing a reading of Poe’s The Raven because after studying it for many years I realized it’s not just a poem, it’s a dramatic monologue. My literary website is http://vonBuchholz.com and links to most of my social media pages are at http://About.me/vonBuchholz. I’m not hard to find. 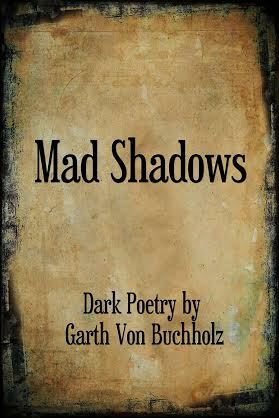 Many of my works of poetry, fiction and non-fiction are available online, including anthologies such as Horror Addicts Guide to Life or my book of poetry, Mad Shadows. Sometimes when one of my works goes out of print I will even republish it myself to make it available again.